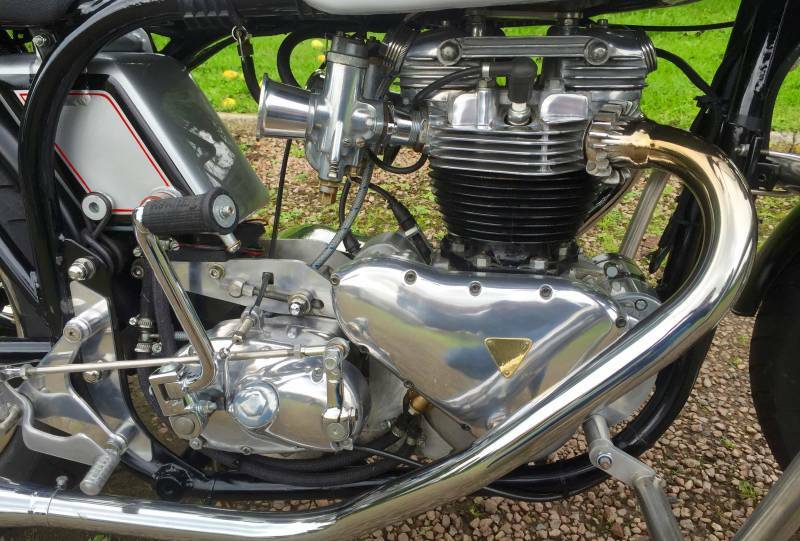 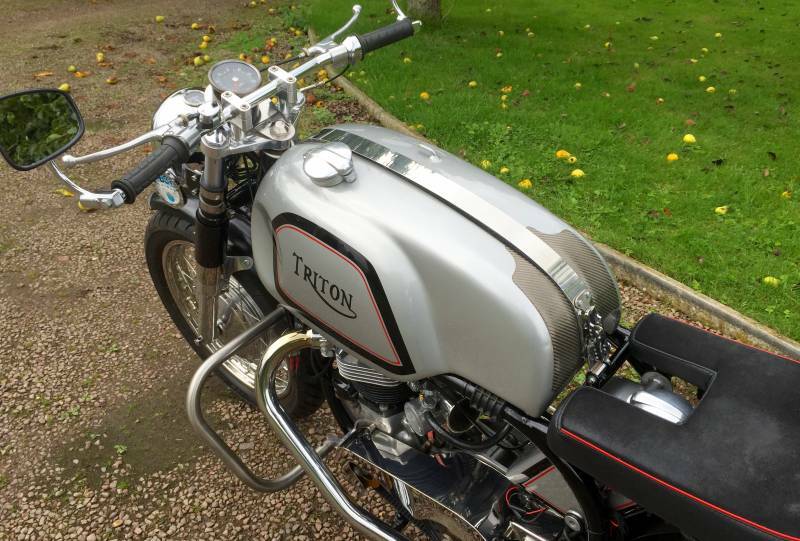 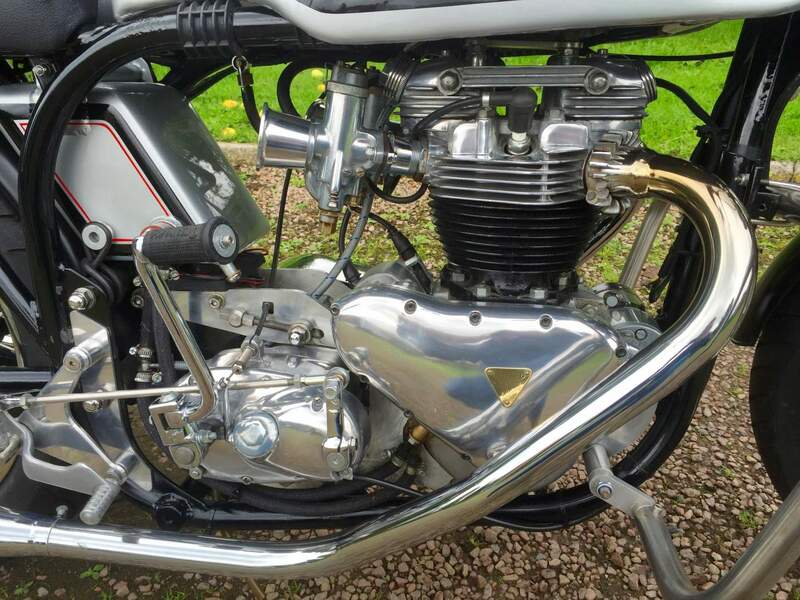 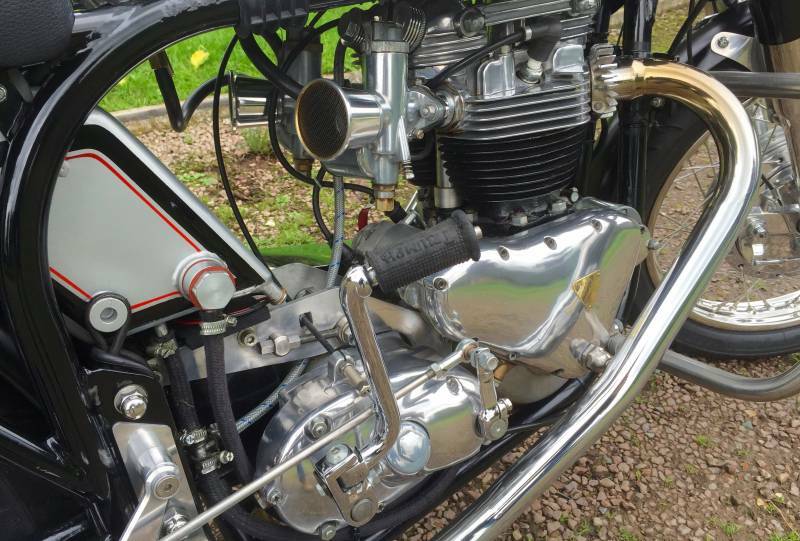 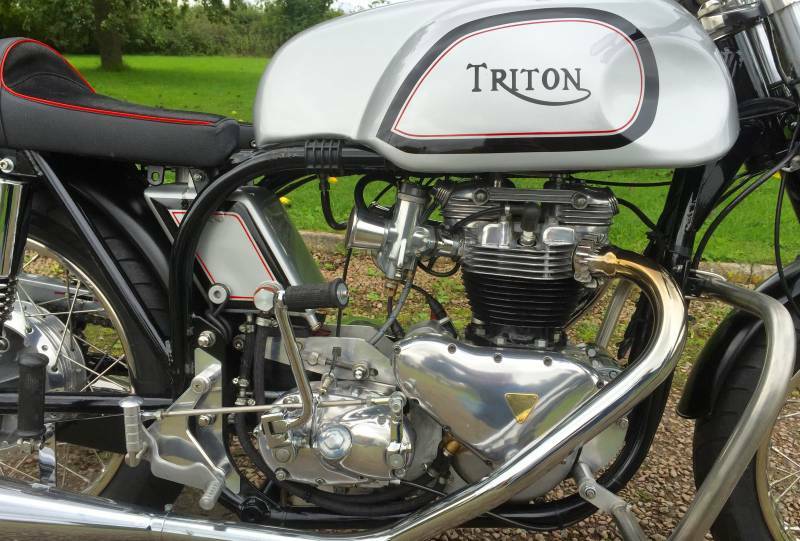 Triton 1956 650cc with wideline featherbed frame, road holder forks, alley tank, central oil tank. 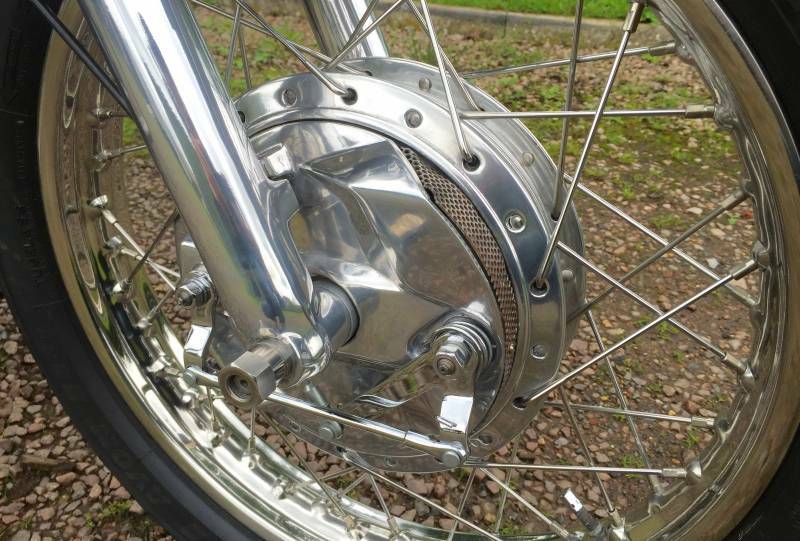 Pre-unit t110 motor with 9 stud Bonny top end and belt drive primary. 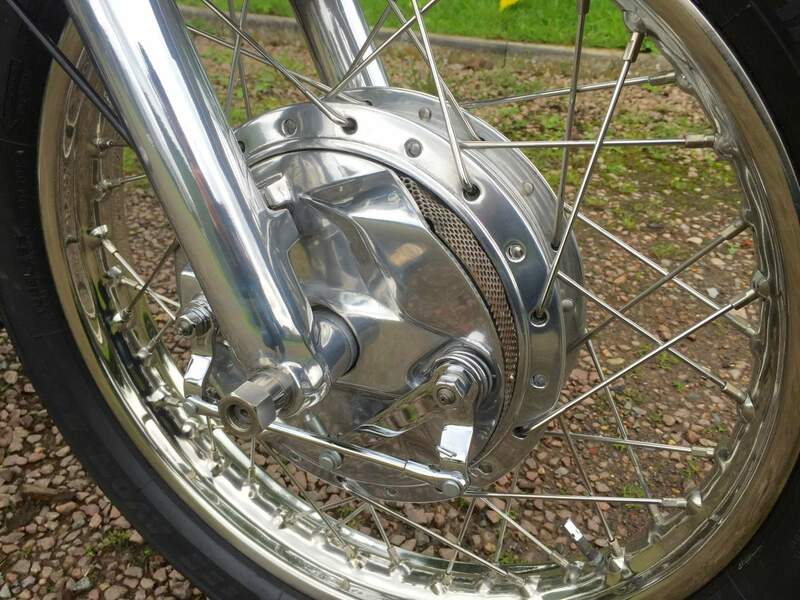 With twin monoblocks TLS vented front brake and chrome rims. 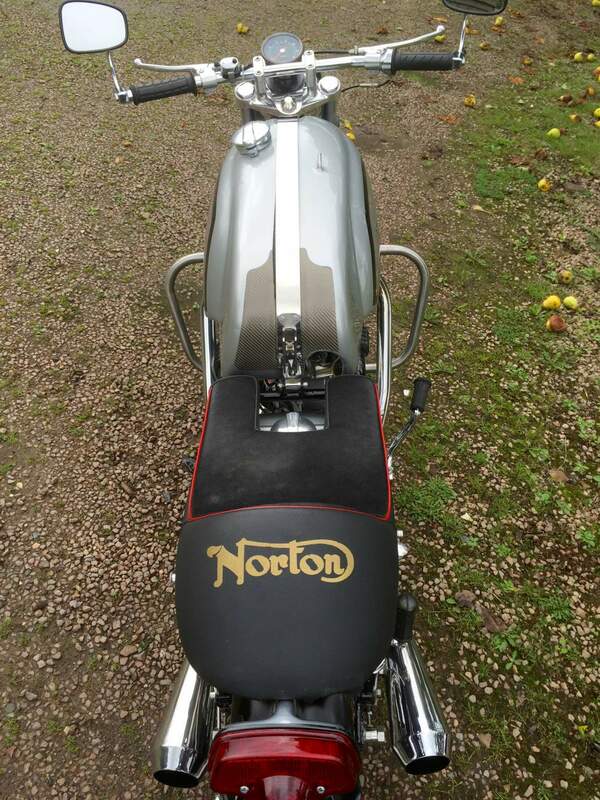 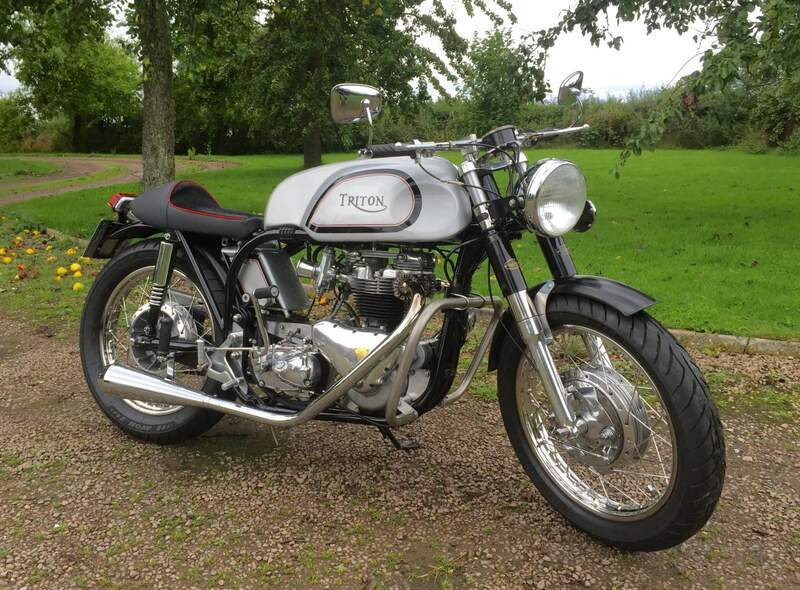 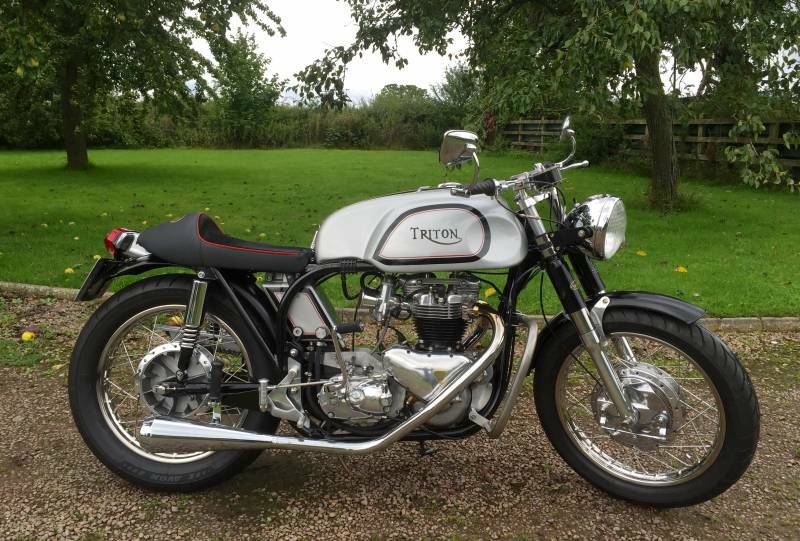 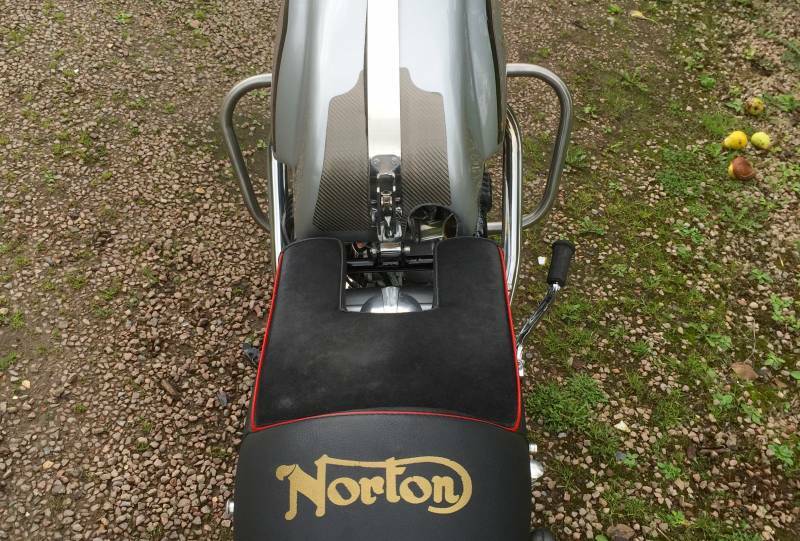 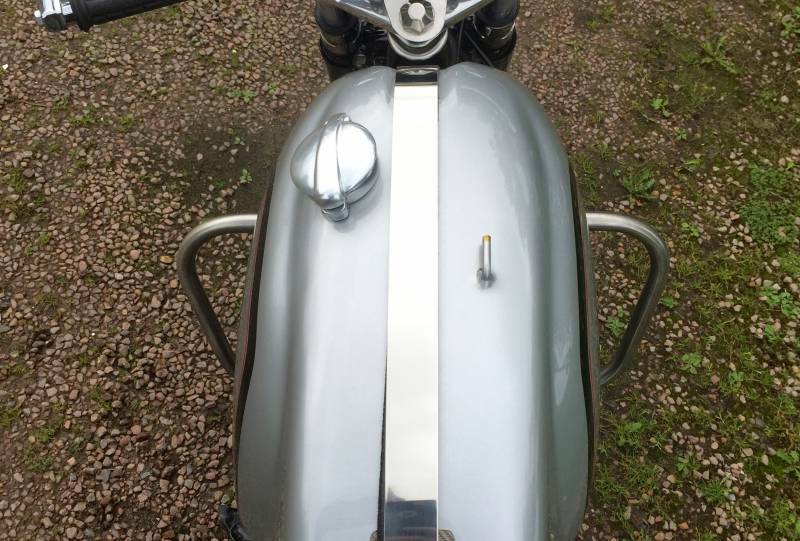 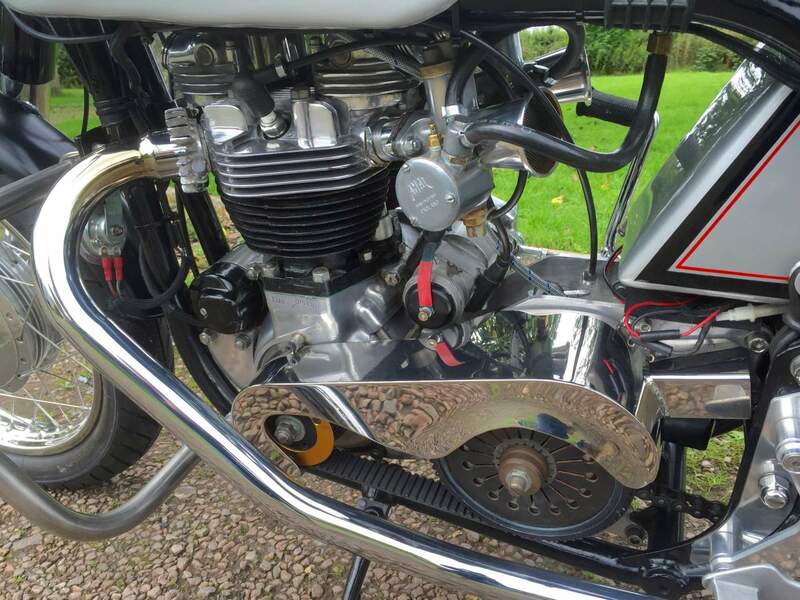 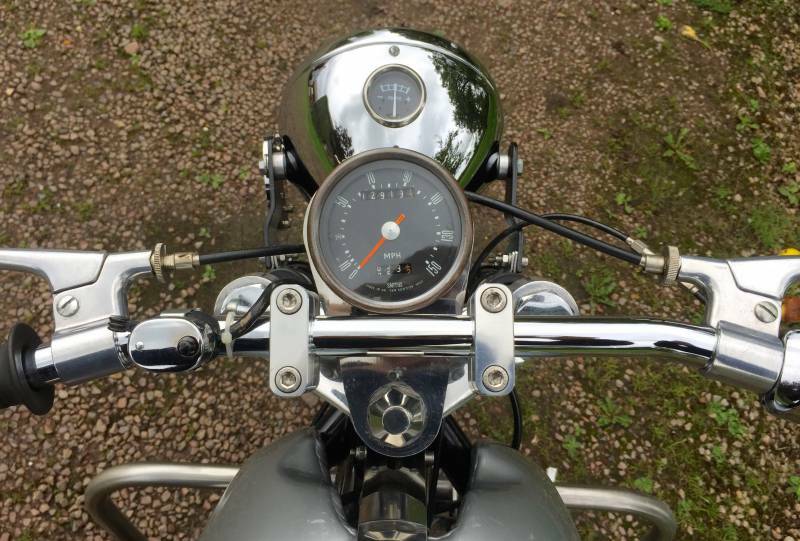 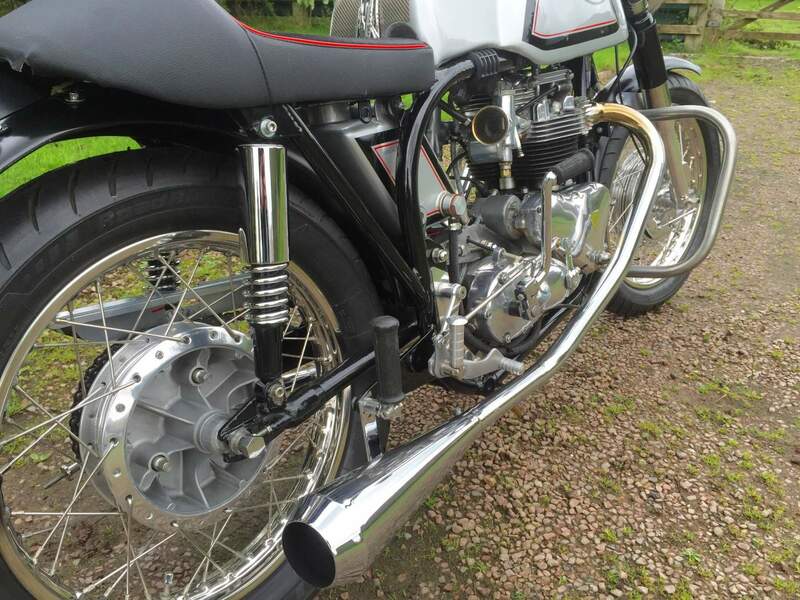 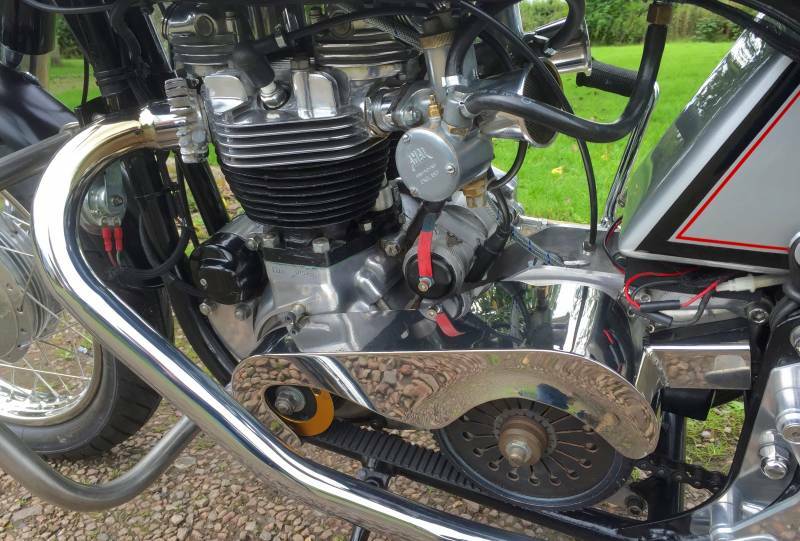 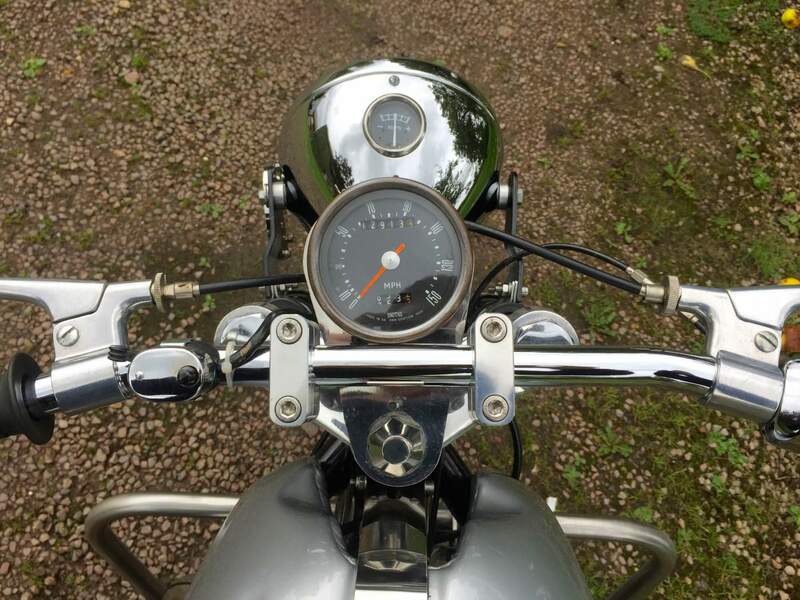 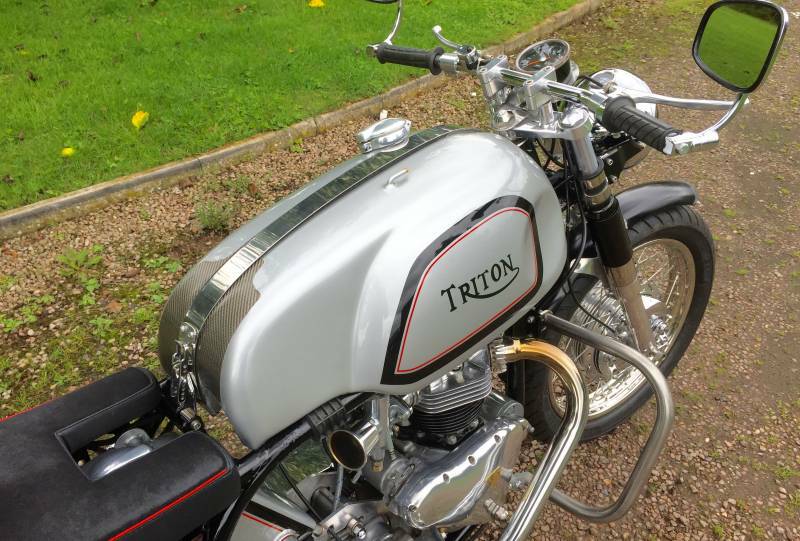 The Triton was newly built in 2008 to a very high specification by an experienced motorcycle engineer. 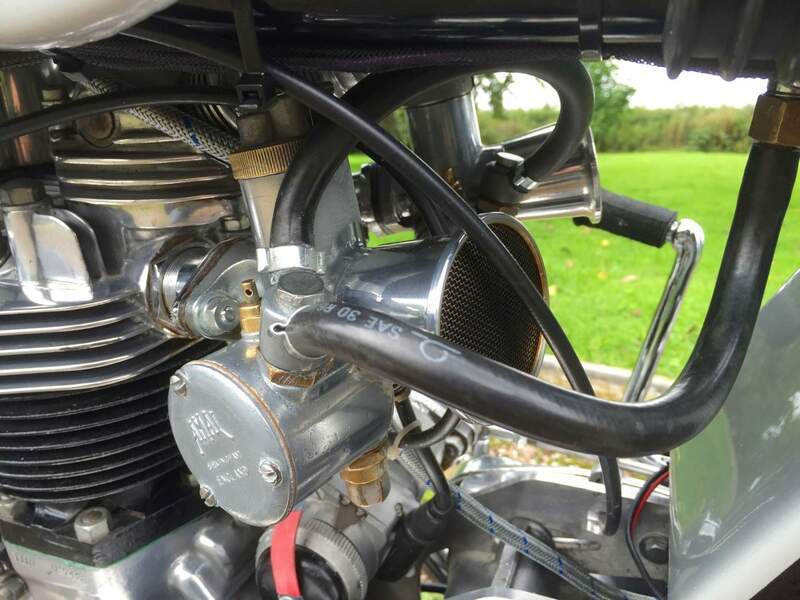 There is photographic documentation of the build where you can see the engine has been striped and rebuilt. 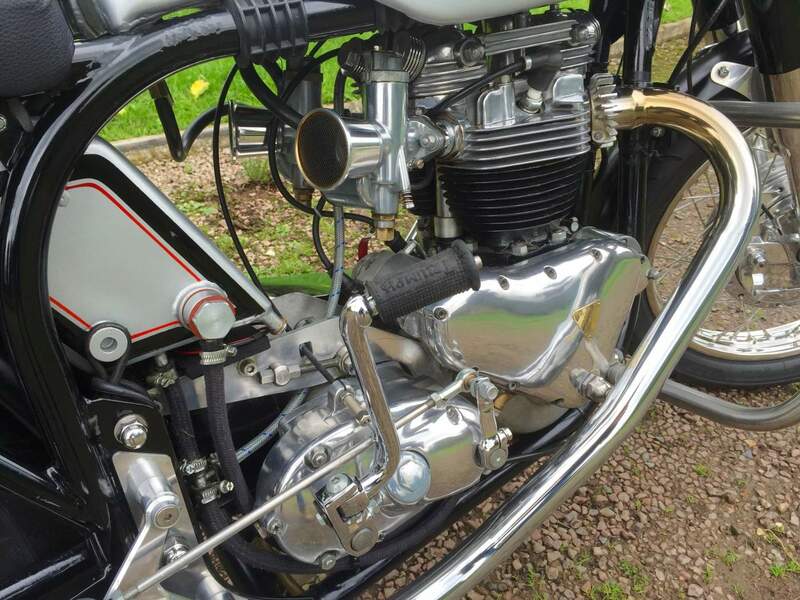 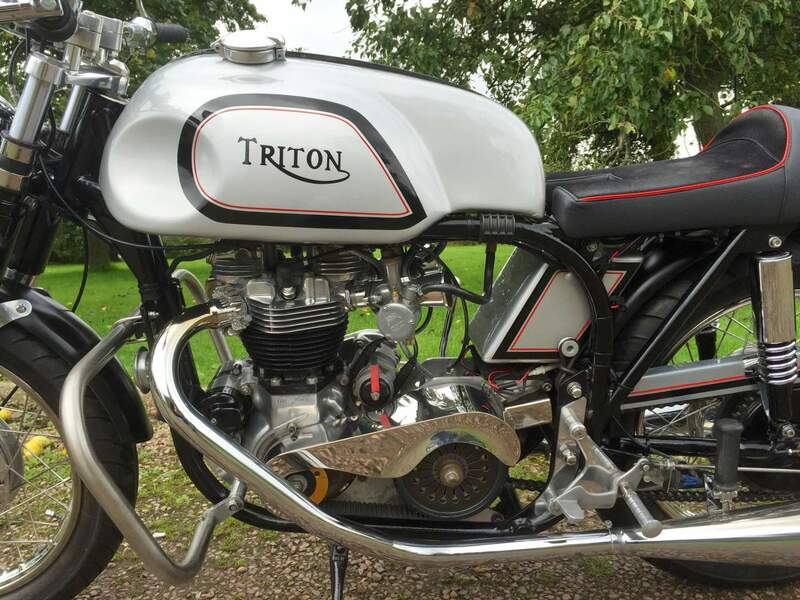 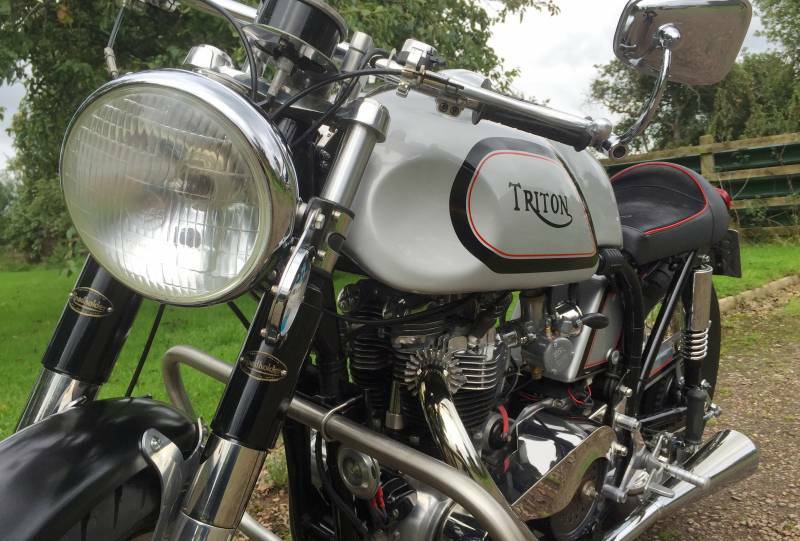 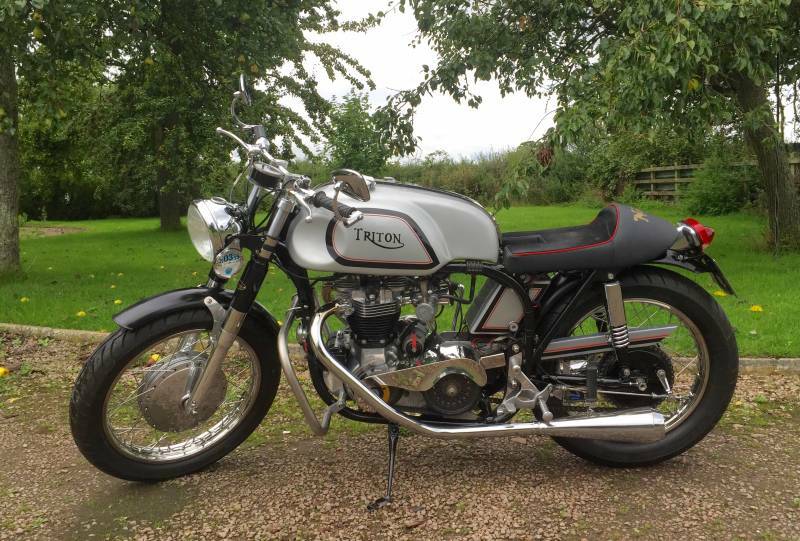 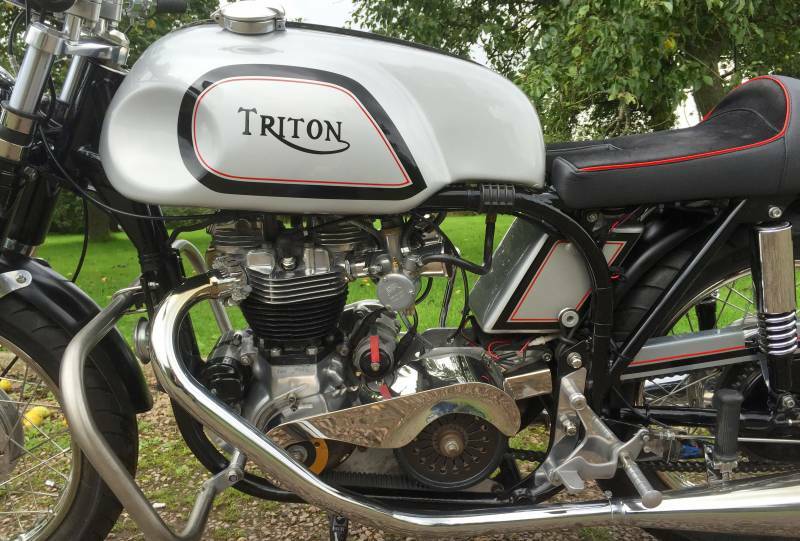 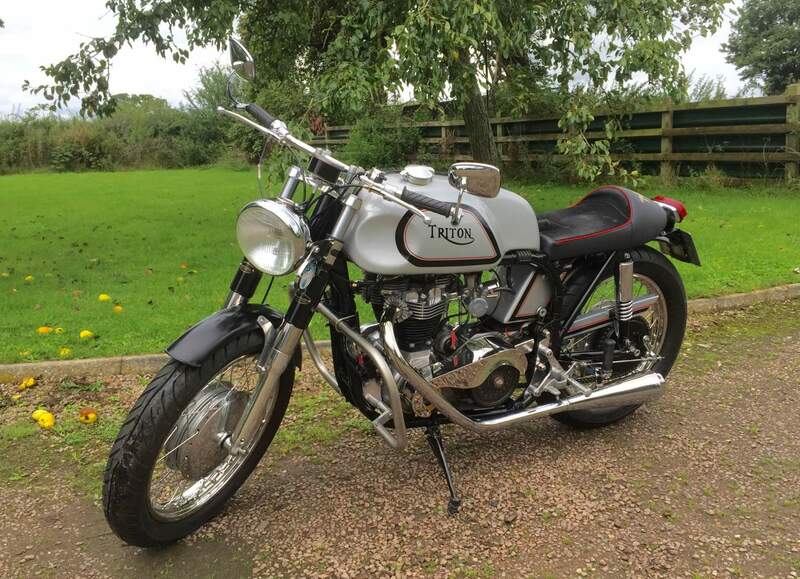 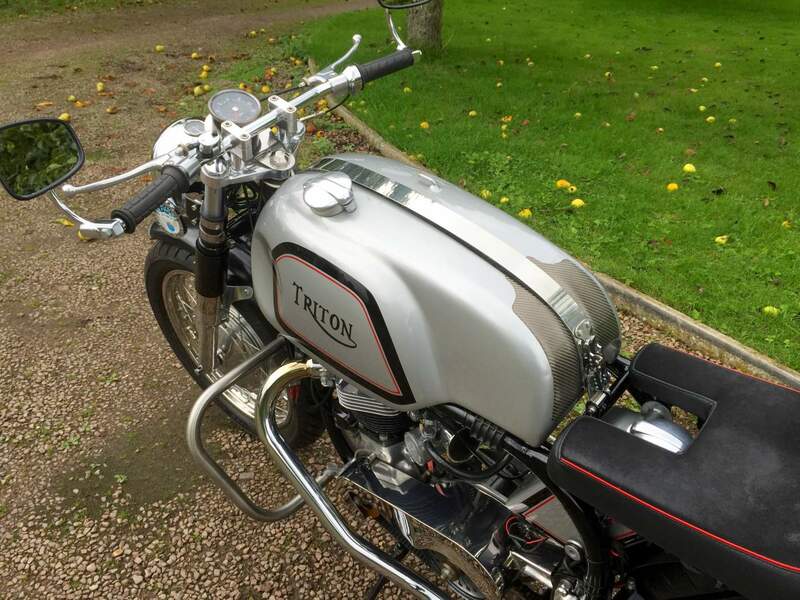 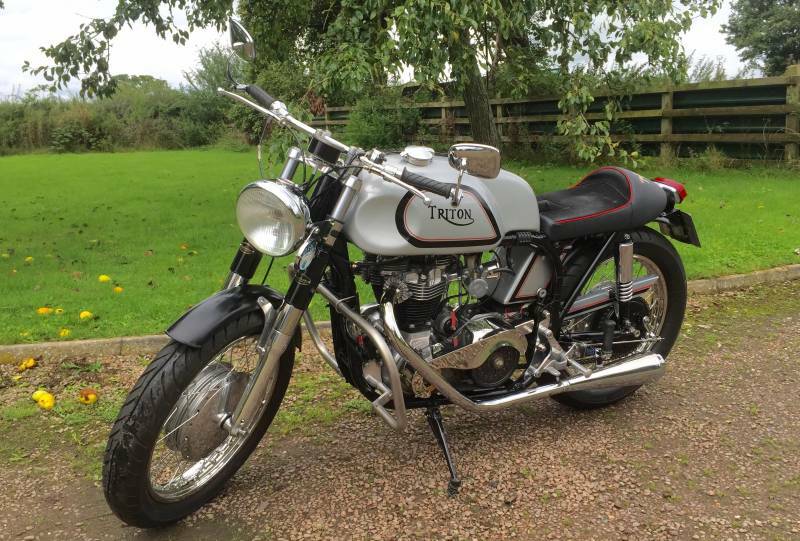 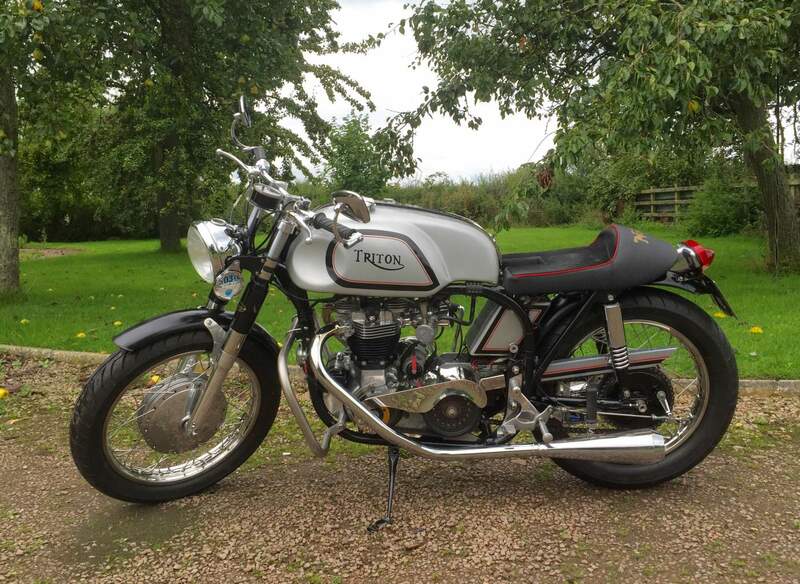 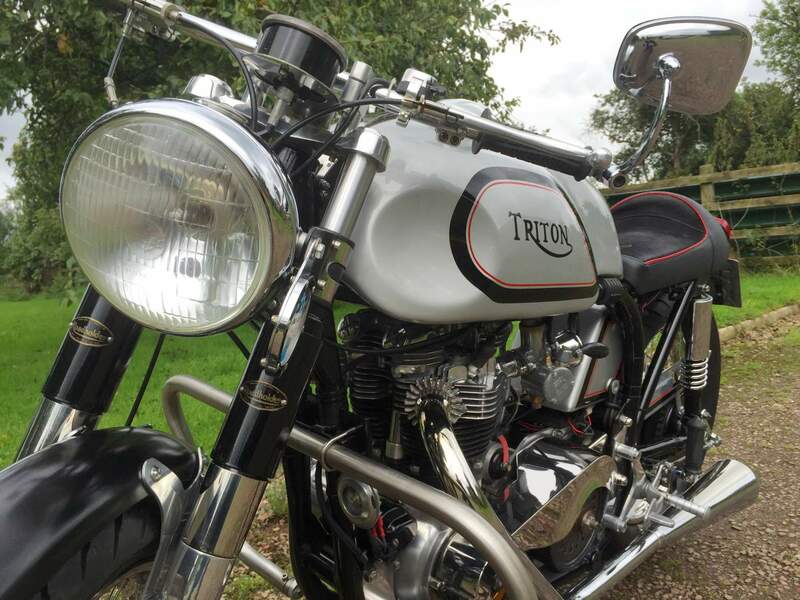 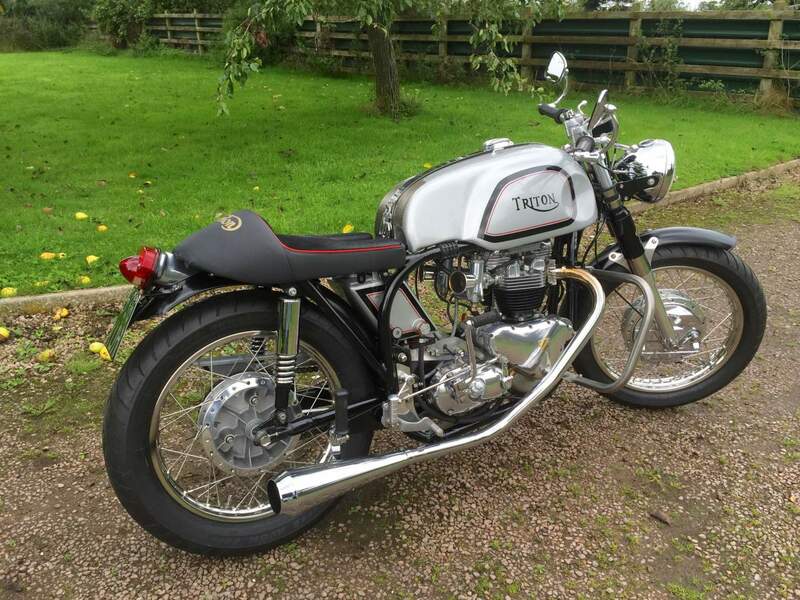 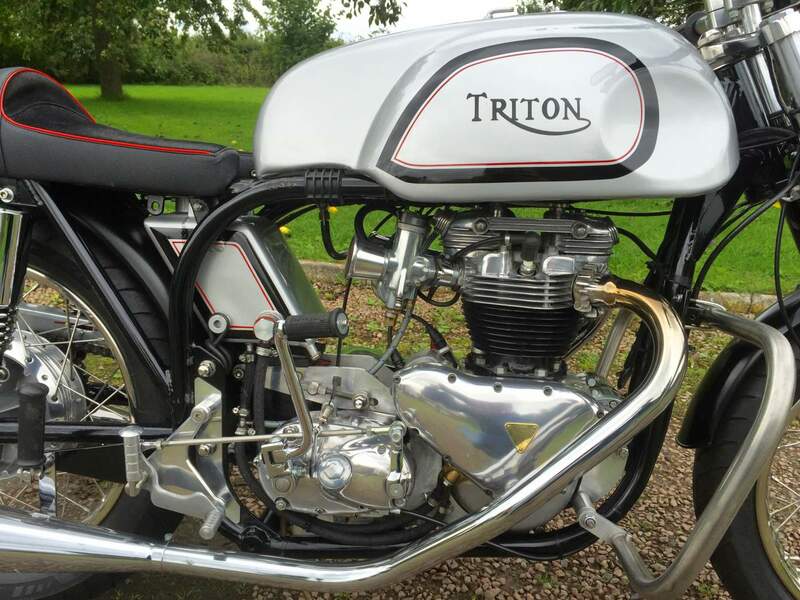 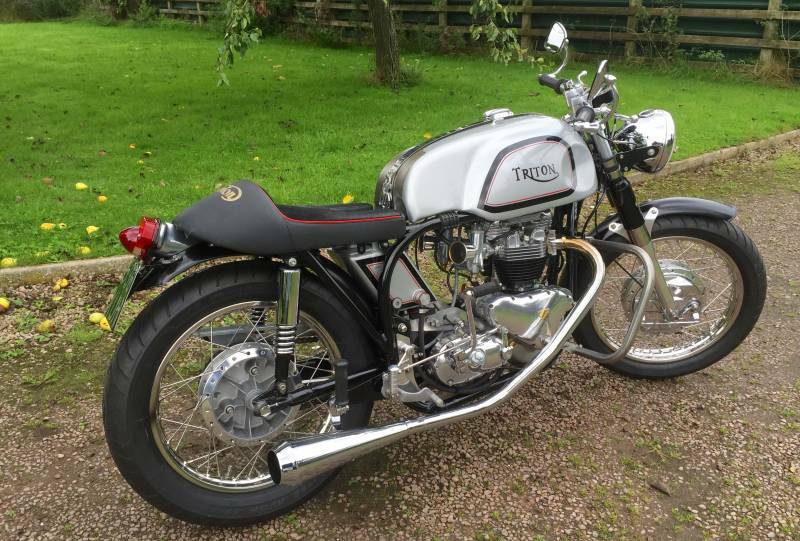 The Triton is still in immaculate condition as seen in the photos. 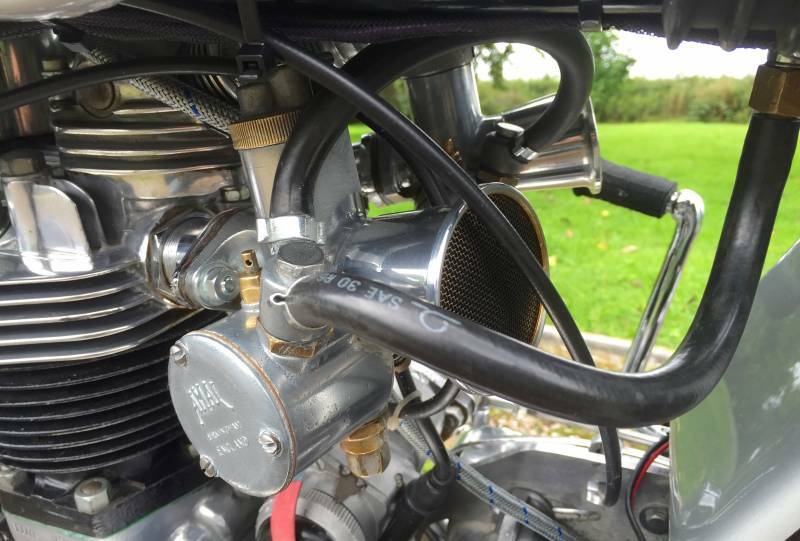 Easy to start having had the engine and carbs rebuilt and set up correctly. 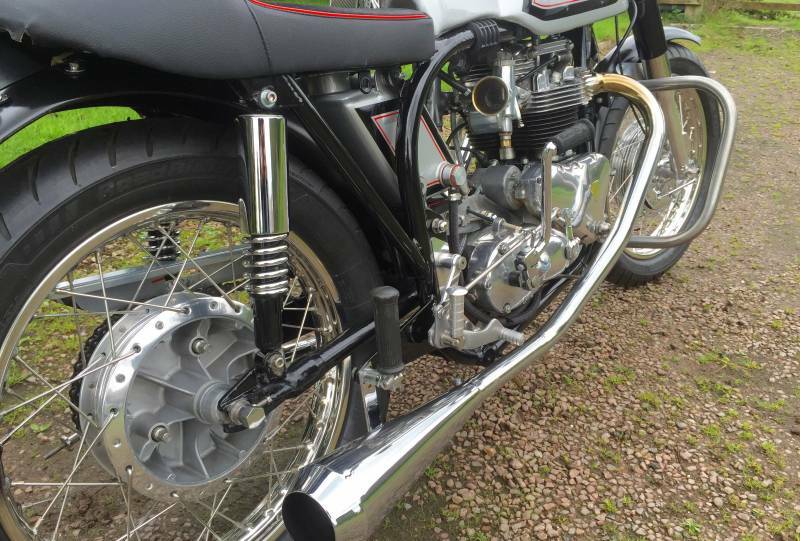 Sounds fantastic and is a pleaser to ride. 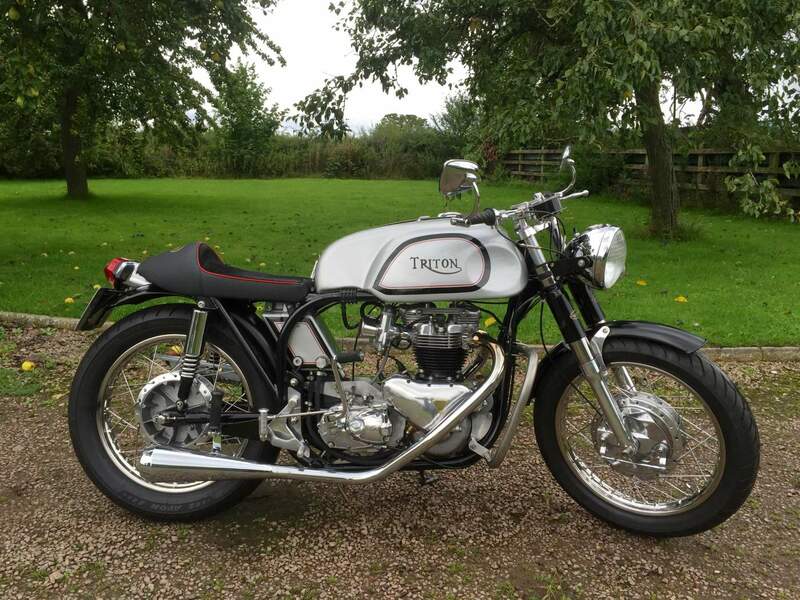 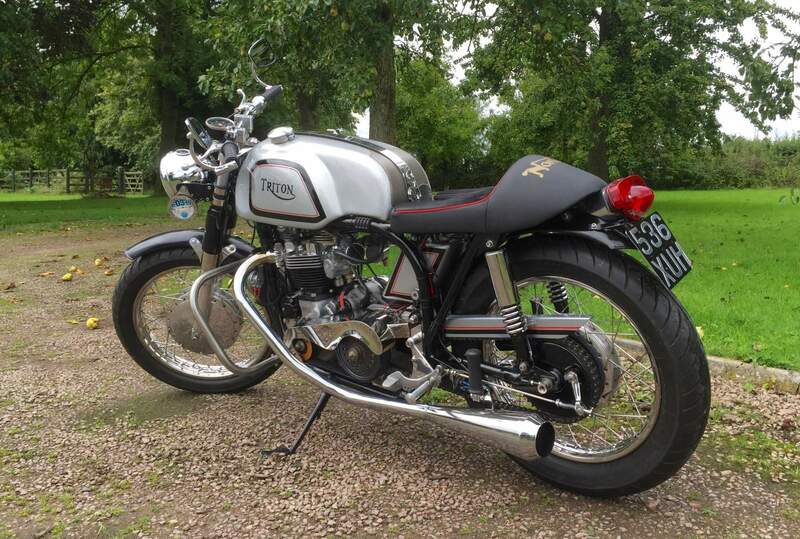 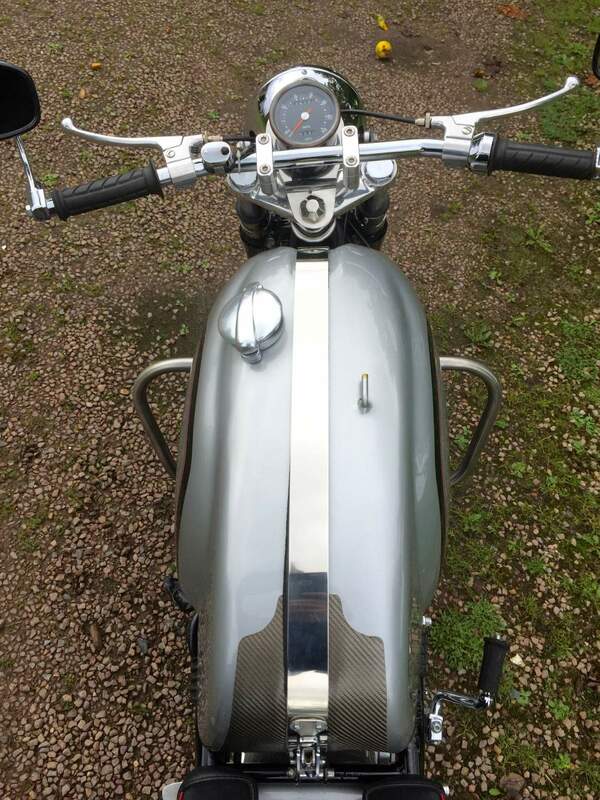 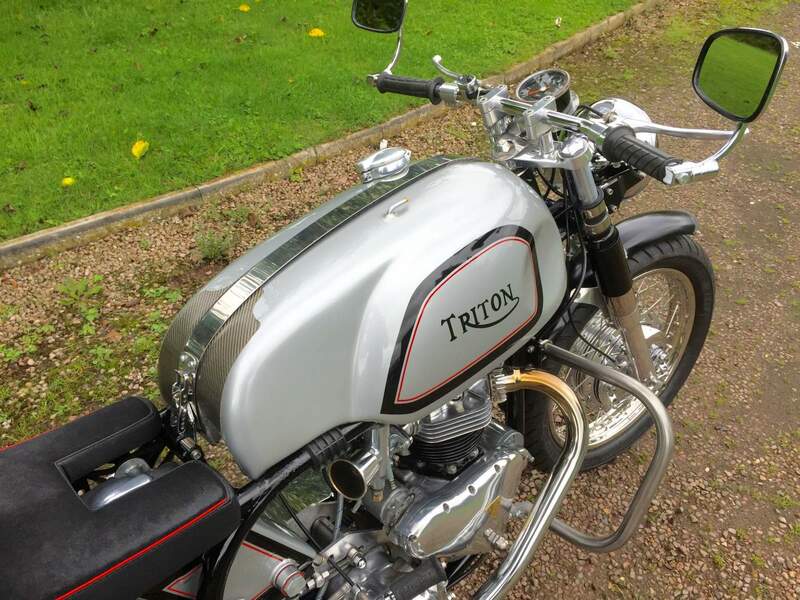 This is a fabulous opportunity to own a really well sorted Triton which benefits from being Tax and Mot exempt and is a Bargain in comparison to some on the market.